This is the second post in a three-part series: 5 Clues that You Are Ready to Hire a PR Agency, 5 Criteria for Hiring a PR Agency and 5 ways to Maximize Your PR Agency Investment. Can I get a high five? 1. Special? Yes. Specialty? Not always. Start with the basics such as identifying agencies that are either B-to-B or B-to-C (many do both) depending on your primary audience and then begin to drill down into things such as experience in or related to your industry. There can be advantages to hiring an agency that exclusively specializes in a particular industry, as long as the work doesn’t become cookie-cutter and lacking in creativity. That’s why I recommend more of an emphasis on special — as in which firm can do something the others can’t, thereby making it special — over a specialty. How do you make sure a PR firm has the right skill set as well as the experience and creativity to back up its claims? Review the agency’s relevant case studies, talk with existing clients and ask the team to tell you about any industry and community awards or accolades they’ve received. 2. Values and value. 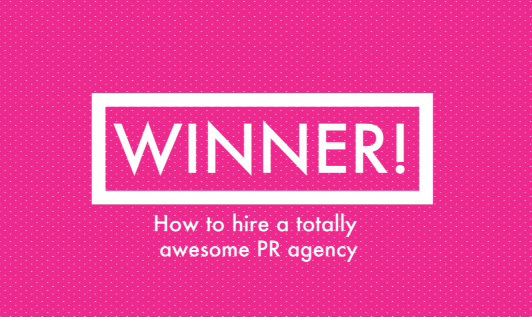 The PR agency you hire is going to represent you and your brand. Ask about the firm’s values. Find out what is important to its leadership team and how those things are woven into the culture of the agency. Similar values are typically an indicator of a good match. While I always think this is important, it is absolutely vital for new companies or those relying on a PR firm to make introductions into new markets. Poor values, lack of integrity and signs of acting unethically lead to bad reputations. It is virtually impossible for your brand perception to be improved or introduced in a positive way by a brand that is tarnished. Do your homework. Having been involved with PRSA my entire career, I’m a strong believer in the association’s code of ethics. To find firms that have joined PRSA and taken a pledge to uphold the code of ethics, check out PRSA’s Find a Firm tool. Mix a firm that has the right expertise and strong values with a client with clear direction and a realistic budget and you’ll get value out of the relationship. Ask prospective agencies how they define “providing value” and how they ensure clients feel they are getting a good value. 3. Two peas in a pod. I’m not suggesting you become besties with your agency account manager. In fact, I recommend against that! However, you’ve got to want to work together. That’s where you’ll see the real value — when you enjoy working with and appreciate your agency team and vice versa. It is part of our nature as PR agency people to want to please. Give us a client we like who respects our work and is grateful for the support we provide, and it becomes downright magical. I believe you can get a sense for this in the interview stages. Call it listening to your gut. Call it chemistry. When the personalities, cultures and working styles are a match, you know it. You feel good about it. Because it is so important, make sure you are actually meeting your account team and not the “pitch team” when you’re visiting with a prospective PR firm. Also take note of how the team members interact with each other, as it can be an indication of how they will communicate with you and your team. I’ve previously written about this in a post about sportsmanship in a PR agency environment. 4. Extra, extra. If you are like most people charged with hiring a PR agency, you’ll send an RFP or the same list of questions to a few agencies you are considering. Look for the agency that offers an observation, wisdom or perspective on something not included in your request. This is a good indication that the team is already thinking about your business and that the firm believes in going above and beyond. Creative pitches. Do you really want another PowerPoint? If you do, which team made it creative? What else did they do outside of the presentation to show imagination and ingenuity? Research. Did one team take the initiative more than others to understand your company’s background, conduct a competitive analysis or analyze your target market? Questions. Did one PR firm seem more inquisitive than the other? This can be an indication of thinking ahead to next steps and about the information that will be needed to kick start your campaign. Desire. Who wants your business the most? The answer is likely to be the same as the agency that will make your account a top priority. 5. Momma said if you don’t have anything nice to say, then zip it. Think twice about a PR agency that is quick to sling mud. We are sometimes asked to compare ourselves to our competitors, and we feel that staying focused on our strengths is the best course of action. Beware of firms that don’t hesitate to shift gears from what they can provide to what others can’t. Looks like I might have really given you more than five things here, and I didn’t even answer the age-old question of does size matter? That, ladies and gentlemen, is a post all its own that I’ve previously penned called Big PR Agency vs. Small PR Agency. If you’ve ever hired an agency that proved to be the absolute best ever, what factors helped guide your decision?